The candidates to replace the four commissioners who took their seats as MEPs passed through hearings in the European Parliament yesterday (14 July). The Parliament is due to vote on their appointments on Thursday. Four former Commissioners took their MEP seats as the Parliament held its first session on 1 July. Before that, they were due to resign from the EU executive. Jacek Dominik from Poland, a former Deputy Minister of Finance and a government plenipotentiary on the introduction of the euro by his country. All four replacement commissioners take on the portfolios of their nationals who took MEP seats. In theory, the Commission President has the right to reshuffle or reassign portfolios in case of the early departure of one or more Commissioners. Reicherts was heard by a joint sitting of the European parliament’s Civil Liberties, Legal Rights and Women’s Rights committees. Ferocci was heard by the Industry, Research and Energy committee, Katainen by the Economic Affairs Committee and Dominik was heard by the European parliaments’ Budget Committee. The hearing that attracted most media attention was Katainen’s, mainly because is expected to stay on in the next EU executive. In his speech, he emphasised on the need to implement decisions and rules already made, instead of pushing for new ones. “We need to restore confidence to attract investments”, he stressed, adding that he believed in creating jobs, but not by increasing the deficit, because in his words nobody would be ready to lend money for that purpose. “Only by implementing structural changes do you gain confidence. 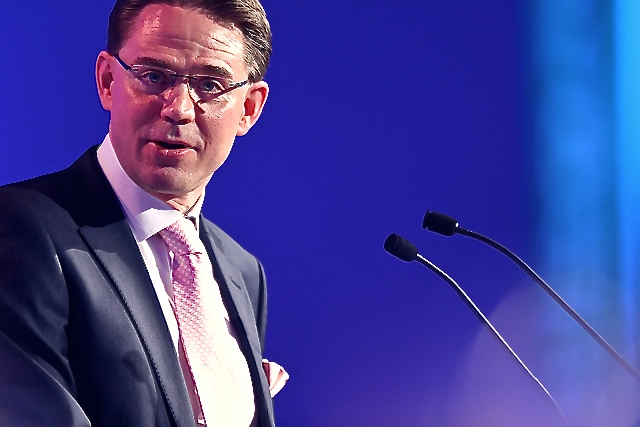 The private sector needs to be encouraged to invest on our continent and we have to use public money more effectively, for example by investing in R&D, green growth and SMEs,” Katainen said. The Finnish candidate commissioner said he did not agree that the Stability and Growth Pact needed more flexibility. “The current rules leave enough room for that. The European Council said so and you know the Council is always right”, he joked. On the Troika, he noted that its members are accountable to lenders, but he promised to consider how the Parliament and Commission could improve their cooperation so that the Parliament also has a say in Troika work, through the Commission. MEPs will vote on the four appointments on 16 July. The current Commission’s term runs until 31 October 2014.